Seychelles International Airport is located on Point Larue, 10 km from Victoria, Mahe Island. In addition, there are 14 domestic airports in different islands; the main port is in Victoria. 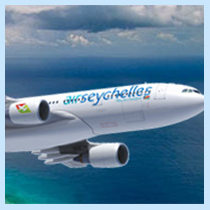 And Air Seychelles operates daily flights between the main islands. Mahe offers regular bus services whereas Praslin has a limited service. Taxis are to be found on both islands, rates are fixed by the government. Inter-island ferries are regular between Mahe, Praslin and La Digue. For hiring a boat, contact The Marine Charter Association near the Yacht Club in Victoria. Cars can be hired in Mahe and Praslin (Driver’s licenses issued by other countries will also be recognized). The International Dialing Code for Seychelles is 248. Direct dialing is possible to most countries from most hotels. Public phone booths are also located on several islands. Telephone cards are available in all hotel shops. It is possible to rent GSM mobile or only the GSM card by Cable & Wireless in Victoria or by Air Tel, Providence. Full internet and access support is also available. 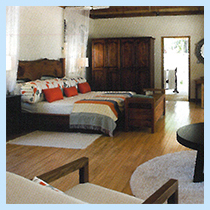 Wi-Fi is normally provided by most of the hotels free of charge in public areas or at a reasonable rate in guest rooms. 8:00am – 4:00pm from Monday to Friday and 08:00am – 12:00noon on Saturday. Stamps are also available in all hotel shops. 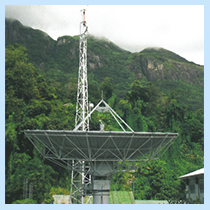 Throughout Seychelles the voltage is 220-240 volts AC 50 HZ. 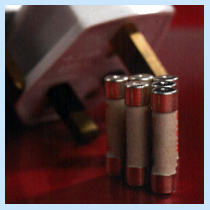 Seychelles uses the British standard square three-pin, 13 amp sharp electric plug. Visitors from countries not using the United Kingdom's system are advised to bring their own adaptors. 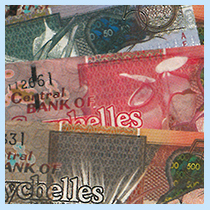 The local currency is the Seychelles Rupee (SR) which is divided into100 cents. Coins come in 5, 10, 25 cents, and 1 and 5 Rupee denominations. Notes come in 10, 25, 50, 100 and 500 Rupee denominations. Latest exchange rate is approximately 1 USD = 12.83 SR.
Credit cards are widely accepted throughout Seychelles, ATM facilities exist at major banks on Mahe, Praslin and La Digue, these machines provide cash in local currency. A wide range of affordable, new and refurbished hotels, self-caterings and charming Creole guesthouses are joining the ranks of existing 5-star hotels and exclusive island retreats to offer memorable stays among welcoming Creole people and stunning natural surrounds. Victoria has a large and efficient hospital. 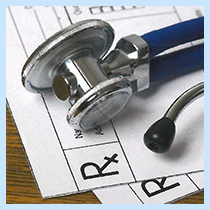 Most islands have Health Clinics. Private doctors are also available. Some hotels provide duty nurses. Seychelles is a safe country but valuables should also be left in custody. They should not be left on beaches or in open cars, but in the security of hotels so as to make your stay a comfortable and pleasant one.